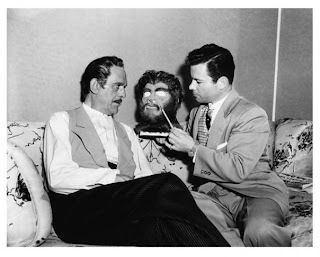 Dracula, Frankenstein, King Kong, and The Wolf Man. 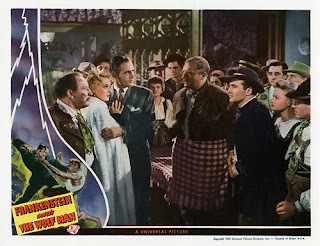 These are only a few of the classic characters that brought terror to people in cinemas around the world. 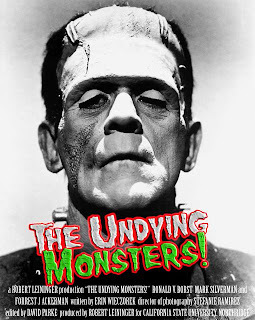 "The Undying Monsters!" 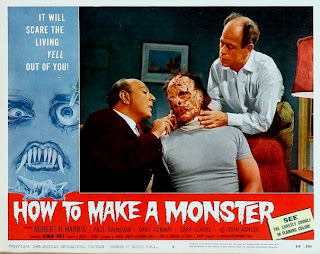 explores why characters in these such fright films are beloved by so many. 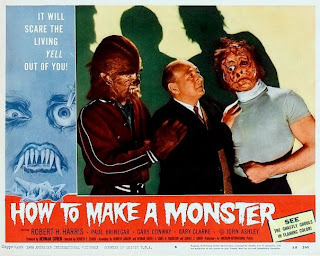 You will encounter a monster movie historian, true monster movie fans, and a person who has influenced the genre more than any other known man. 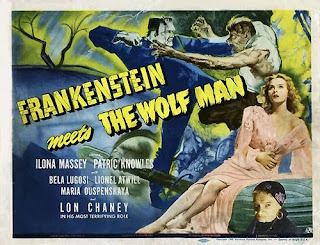 These most unusual people will take you to a world where corpses 3,500 years dead walk again, where vampires are on the hunt for blood, and where werewolves prowl under the full of the moon. 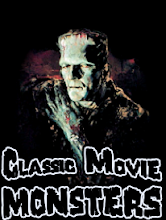 This is the fang-tastic world of "The Undying Monsters!" Here they are! 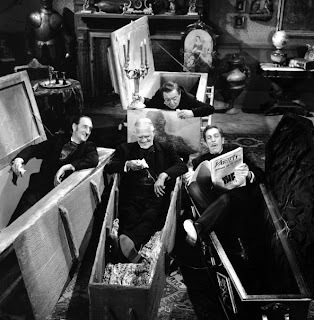 Basil Rathbone, Boris Karloff, Peter Lorre, and Vincent Price! 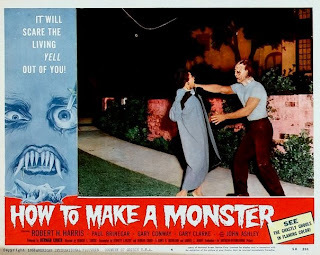 They love to laugh... and scare! He went for a little walk! 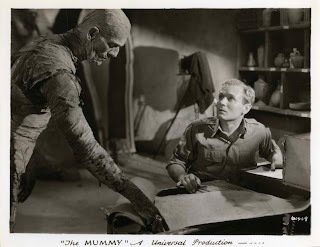 Here is a publicity still of the opening scene from "The Mummy" where Boris Karloff as Imhotep "went for a little walk". 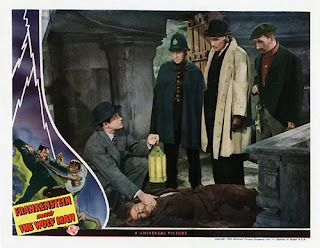 "You should have seen his face!" I love seeing Aurora model box art tributes. It makes me wish these models had been made. Here is one for a Zacherly model. 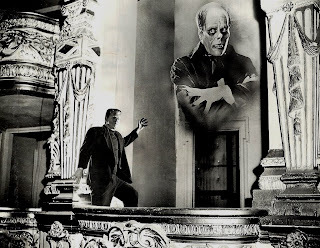 During the production of "Ghost of Frankenstein", Lon Chaney, Jr. visited the "Phantom of the Opera" stage, where his father played the Phantom himself. 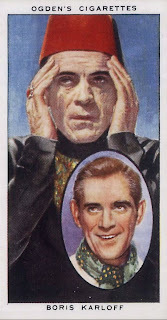 Boris Karloff is shown what his results will look like once he turns into Mr. Hyde in "Abbott and Costello Meet Dr. Jekyll and Mr. Hyde". 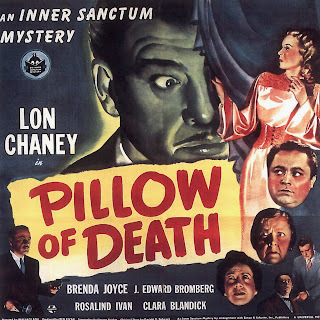 Monster Movie Posters: "Pillow of Death"
Here is a "Pillow of Death" poster from the "Inner Sanctum" series. 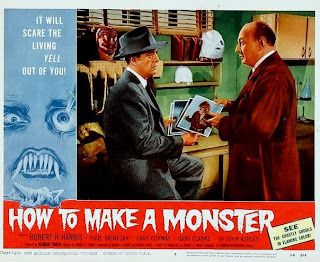 The Lobby Card Series - "How to Make a Monster"
"Wake up, you stupid policeman!" 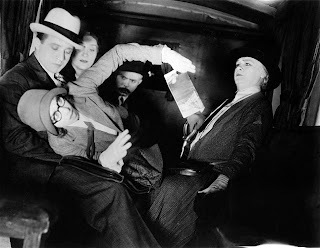 "Don't make a fuss. 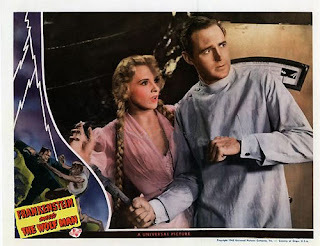 It's only a cavity." "I just want to help you walk across the street!" 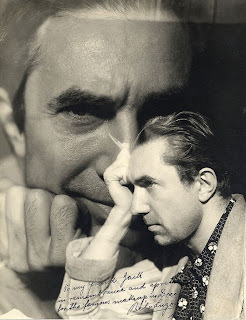 Do you recognize these heads? 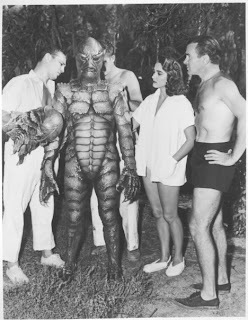 "My you have a serious case of acne!" 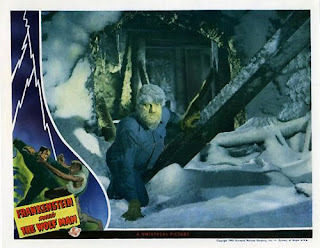 "Have you seen this werewolf?" Teenage Werewolf is jealous for attention. 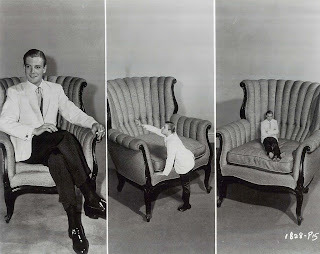 Here are some publicity stills from "The Incredible Shrinking Man"! Little people or giant props? He shrinks before your eyes! 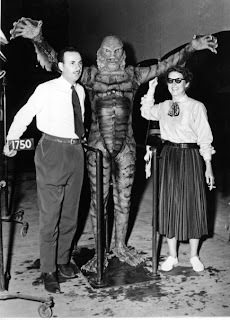 Let's go behind the scenes of "Creature From the Black Lagoon"! 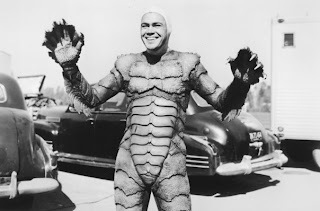 The Creature Unmasked! 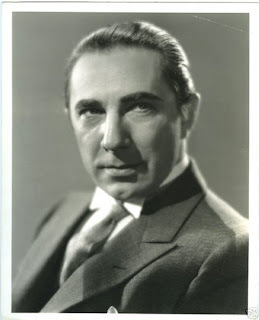 It's Ben Chapman! 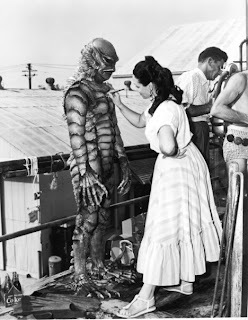 Creech getting a touch up from the beautiful Milicent Patrick. 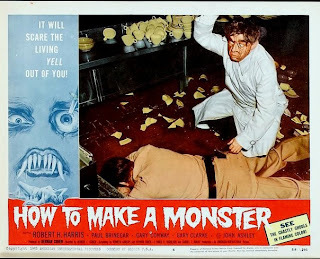 The Creature: What a ham. 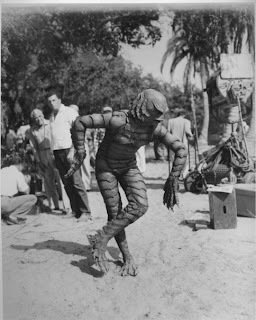 "I can do the jitterbug!" 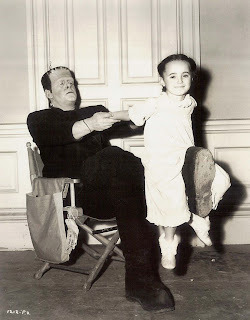 Janet Ann Gallow likes to play horsey on the leg of Lon Chaney, Jr. on the set of "Ghost of Frankenstein". 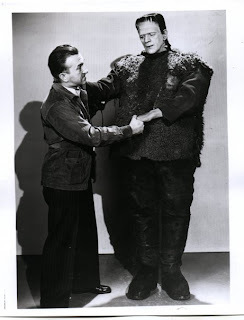 Here is a rare behind the scenes shot of Make-up man Jack Pierce and Boris Karloff on the set of "Son of Frankenstein". 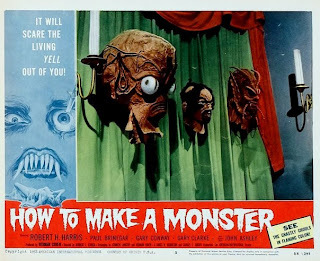 Monster Movie Posters: "Creature From the Black Lagoon"
Get Your Witch and Bride Now! 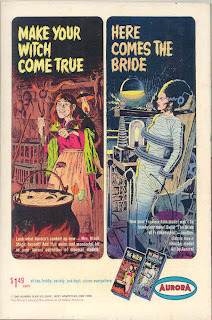 Here is an ad with the great box art of James Bama for the Salem Witch and Bride of Frankenstein models. 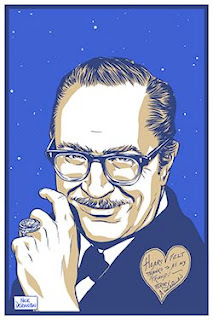 Here is some nice artwork of Forrest Ackerman that the renewal of Famous Monsters put together. He is the box to the glow version of the Aurora Mummy model. Yes, 50 years ago Sam Raimi was born. 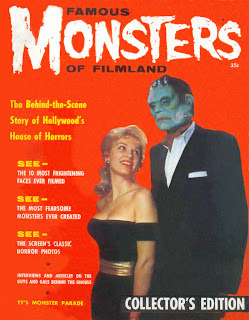 He has been very important in the horror field what with his "Evil Dead" trilogy. His most recent horror film was in the "Evil Dead" spirit and it was pulled off excellently. 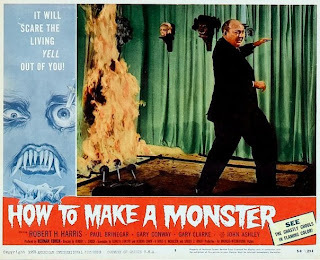 That movie is "Drag Me To Hell". 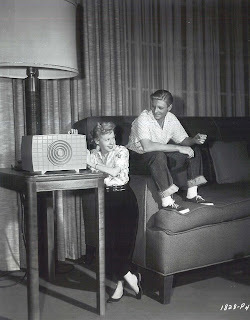 "Button, button. 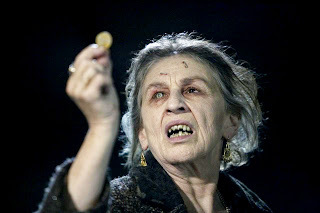 Who's got the button?" "How's about a little kiss?" 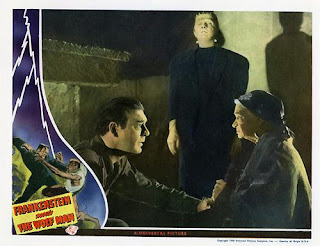 Monster Movie Posters: "Ghost of Frankenstein"
Yesterday was also Bela Lugosi's birthday. 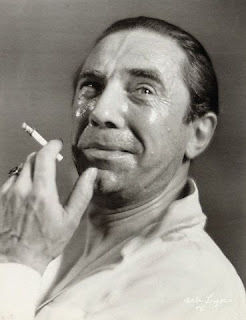 He was born 127 years ago. 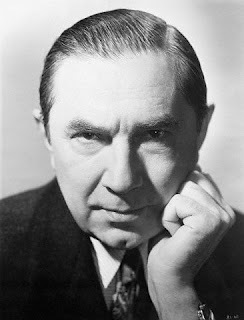 Lugosi, of course, will always be remembered for his role of Dracula. 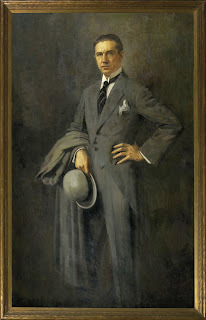 Carla Laemmle (niece of Universal Studios founder, Carl Laemmle) turned 100 yesterday. I have had the pleasure to meet her a couple of times. She is very witty and youthful. 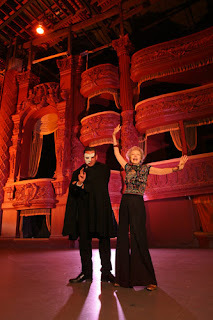 It is amazing to meet someone that was in "The Phantom of the Opera" and "Dracula". 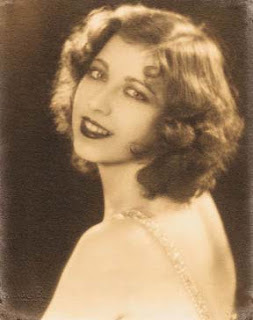 she played a ballerina in 1925. 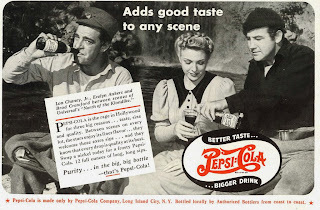 Lon Chaney, Jr, Evelyn Ankers, and Brod Crawford love their Pepsi-Cola! 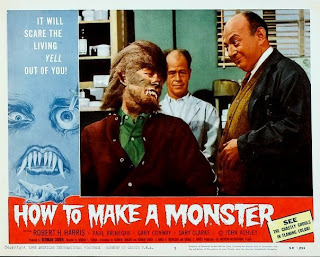 "Only Pepsi can quench the thirst of a Wolf Man!" 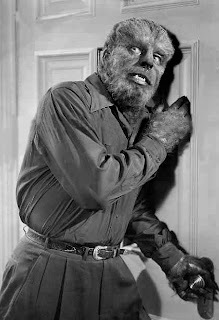 The Wolf Man answers the door in "Abbott and Costello Meet Frankenstein." 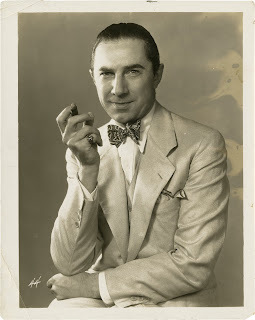 Cigarettes used to come with trading cards of celebrities. 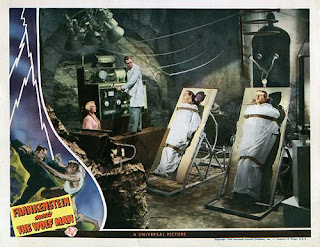 Here is one of Boris Karloff from "The Mummy". 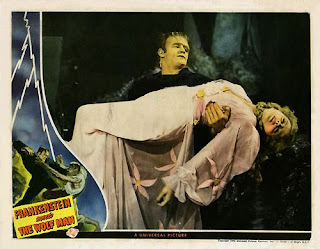 The Lobby Card Series - "Frankenstein Meets The Wolf Man"
"Frankenstein Meets The Wolf Man"
"Carrying my wife over the threshold." "Good thing I have my fur to keep me warm!" 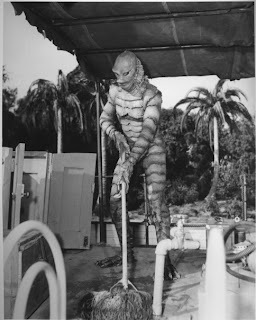 Not the most sanitary of operation facilities. "Do you also see a giant standing in the corner?" What I would give to be that bird! 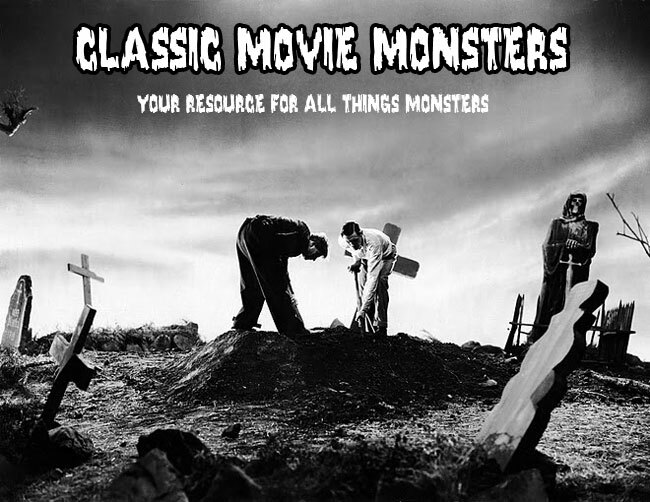 FM Fridays - "The Scream Test"
"Minya! 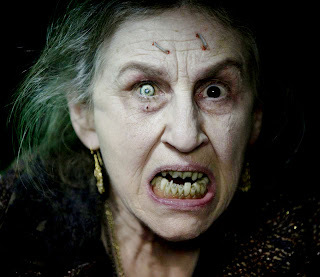 Come and get me!" Who wants to eat fly? 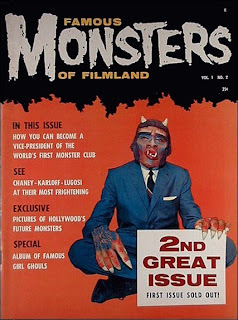 Monster Reading: "Monsters From the Movies"
FM Fridays - "How Hollywood Creates A Monster"